Philadelphia photographer Bruce Grant visits San Francisco. Party and super informal reception at the Brickhouse Cafe and Bar, Friday September 22, from 7:00 to 10:00 pm. 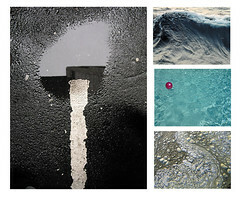 This will be Bruce's first peek at the printed work he selected from the Flickr streams of four Bay Area photographers. Everybody's welcome! Please join us to celebrate the possibilities of widely distributed collaborations ... and just to hang out together.